StealRAT was more of a botnet that piggy backed onto many breached WordPress sites back in July of 2013. StealRAT is a advancement in mass-mailing or spamming. 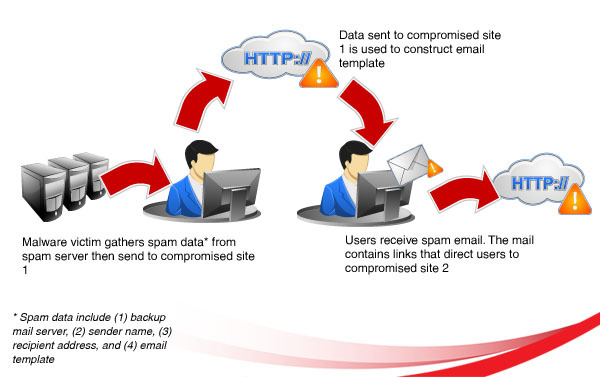 As new spam detection is released and put into place, spammers must find ways to circumvent these new technologies. Just recently, it has been re-discovered by a individual researcher and posted to his blog. What’s interesting about this discovery, is it was located on a server with a Joomla 2.5 installation, which has no known exploits and after checking the logs, no zero-days or exploits were seen. StealRAT description can be found here. Obfuscated and de-obfuscated PHP files found on infected server can be found here.